When walking around on Spitsbergen every now and then you have the feeling someone is laughing at you. Especially near scree slopes this feeling can be strong. 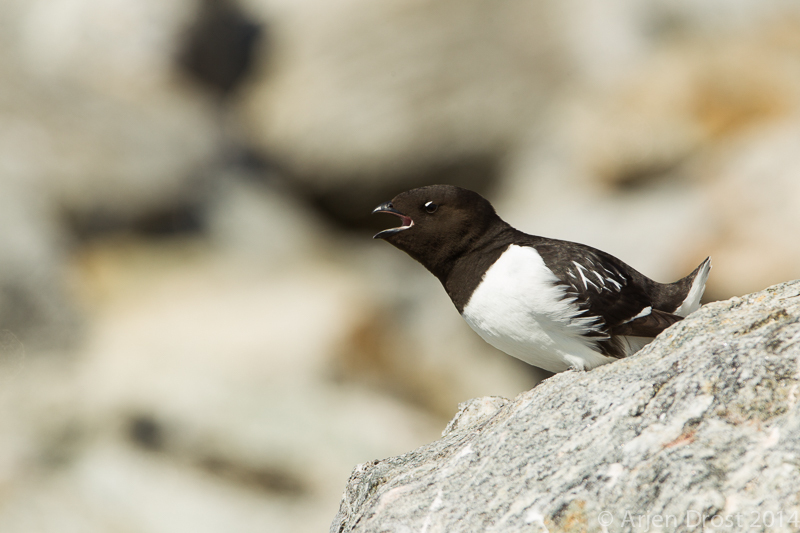 At closer look however, it turns out you’re standing next to a Little Auk colony. The sound these birds make is reminiscent of laughter, especially when there are thousands of them. It is always great fun sitting in between these birds, with there funny flight and clumsy way of walking. Suddenly time flies and you hardly realise the cold of the Arctic. Previous Post Previous post: Look the other way!